-When will he be discharged..? It feels like it's already been 3 years since he left..
-Whoa.. I thought the first picture was a still-cut from a movie..
-He still hasn't been discharged yet..?? Seriously though, when is he discharging..? -Isn't he the normal one..?? The others are causing too much controversies..
-I think he still has around two months left before he's discharged..
-Whoa.. I've been forgetting about him all this time..
-He's going to be discharged in July.. I don't know why, but it feels like he's been there for a really long time..
-I really hope to see him soon in a drama..
-Oh Gosh.. He's really handsome..
-Daesung too.. I wonder if Daesung is doing well there..
Another Hallyu star, Kim Soo-hyun, is scheduled to leave the military on July 22nd. He entered the military active service on October 23, 2017 and serving in army search div. In the first physical exam he got result for social service. Nine years later, he applied for a re-examination in 2015 and he got a grade 1 for active duty enlisted. During his military service, he devoted himself quietly to military life without revealing himself to outside events. His comeback is drawing more attention since it was hard to get news about him during his military service. The 31-year-old Kim Soo Hyun and the 30-year-old member of the men’s team 2PM, OK Taecyeon joined the army on October 23 of the previous year and September 4 of the previous year. The two are expected to be on July 1 and May 16 this year retired. Today, there are reports that the two were seriously serving in the military and were promoted to the rank of captain because of their excellent performance. On the 4th, according to the interview results of Herald POP, Kim Soo-hyun and OK Taecyeon played in advance to become the captain, honestly face the military life and are working diligently on military life . According to the Army regulations, the target for early promotion is a soldier with excellent results or a model image. The number of early promotion candidates is limited to 10% of the number of promotion reviewers. The number of days of service is not affected. It is reported to be a system that encourages the morale of soldiers. Kim Soo-hyun, who is currently serving in the Army Search Brigade, will be retired on July 1 and promoted to the rank of captain in advance. 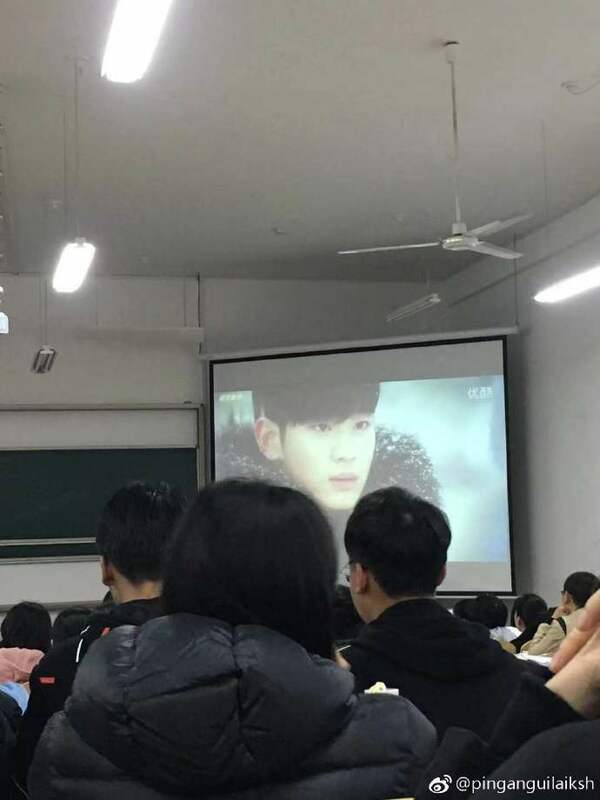 Although Kim Soo Hyun was judged to be in social service during the first physical examination, but he applied for a re-examination and received the first-class active service. Kim Soo-hyun’s situation was that the online community published an article in which Kim Soo-hyun was promoted in advance and became a topic. The voices of netizens who cheered quietly and honestly in the military were very high. Hi hwonhwon, thanks for sharing this good news. So COOL that he received early promotions during his military service for his exceptional conduct. He will be discharged according to schedule. Kim Soo Hyun will be discharged on July 1. Can't wait! Congratulations KSH! According to a new report, both Kim Soo Hyunand 2PM’s Taecyeon received early promotions during their military service for their exceptional conduct. On March 4, Korean news outlet Herald Pop reported that the two stars had both been promoted to sergeant earlier than is typical for Korean soldiers. Candidates for early promotion to sergeant are determined based on outstanding performance and good conduct, and the number of recipients is capped at 10 percent of candidates. Taecyeon, who was officially promoted to sergeant on February 1, is currently serving as a military instruction assistant at the 9th Armed Forces Division in Gyeonggi Province. The 2PM member previously drew attention for voluntarily giving up his U.S. green card and choosing to undergo herniated disk surgery in order to serve as an active-duty soldier instead of a public service worker, even though the military initially deemed him unfit to serve active-duty because of his physical condition. Actor Kim Soo Hyun, who is currently serving in the first Reconnaissance Battalion and has reportedly been promoted to sergeant early as well, similarly went out of his way to serve as an active-duty soldier. Due to a heart condition for which he has received surgery in the past, Kim Soo Hyun was originally assigned to public service duty after his physical examination by the military. However, after the actor requested to be re-examined, he was eventually able to serve active-duty. Early promotion to sergeant does not affect the length of a soldier’s military service, and both stars will be discharged according to schedule. Taecyeon will be discharged on May 16 of this year, while Kim Soo Hyun will be discharged on July 1. Congratulations to both Kim Soo Hyun and Taecyeon!